Democratic Republic of Congo President Joseph Kabila says he will leave office after the 23 December poll, but may seek re-election in the future. Mr Kabila, 47, said he would remain in politics after the poll as "there is still a long journey ahead". He became president of the resource-rich African state in 2001 following the killing of his father Laurent. His presidential mandate ended in 2016, but he has stayed in office as elections were repeatedly delayed. Dozens of opposition supporters have been killed in protests demanding that he step down and elections be held. The election commission finally set 23 December as the election date, saying it had not been possible to hold the poll earlier because of difficulties in registering voters in a country with poor infrastructure and conflict in the mostly lawless eastern region. "We intend to make the elections as close to perfection as they can possibly be," Mr Kabila told Reuters news agency. "Observers who think that the elections will not be free and fair, I am yet to see those observers come and state where they think we are lacking," he added. 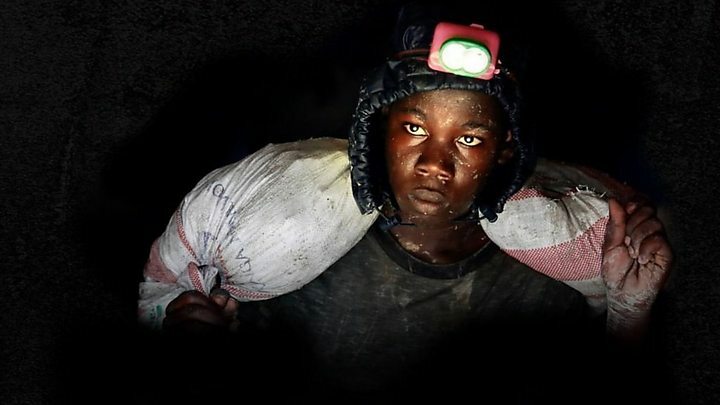 Media captionWhy are people in mineral-rich DR Congo among the world's poorest? The European Union imposed a travel ban and asset freeze on Mr Shadary last year after accusing him of human rights violations, including cracking down on the opposition. The election is expected to be a tight contest between him, opposition leader Felix Tshisekedi and business tycoon Martin Fayulu Madidi. Mr Kabila said he was satisfied with his performance during his 17 years in power. "Do we have regrets? No, not at all. We have many accomplishments. The biggest is that we managed... to reunify this country and put it back on the right track," he was quoted by Reuters news agency as saying. He said he would remain in politics to protect his legacy, and added: "There is still a long journey ahead and there are still other chapters that will be written before we can write the history books." 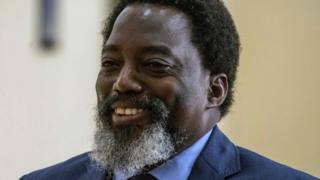 On whether he might make a bid to return to the presidency in the 2023 election, Mr Kabila said: "Why don't we wait for 2023 ... to envision anything? In life as in politics, I don't rule out anything." DR Congo's constitution requires a president to leave office after two consecutive terms, but does not bar him from seeking a third term later. Mr Kabila won elections in 2006 and 2011.